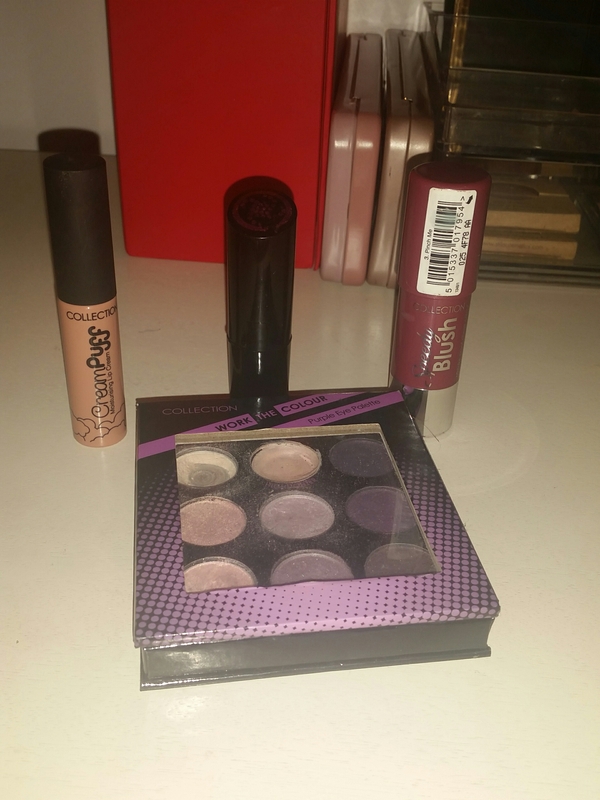 Collection is a drugstore brand that has never really called out to me or gets talked about in a way that inspires me to go out there and search for the products. These are all items that have come into my makeup world in the last year and I have various thoughts on them, their application and lasting power. Given they are not the cheapest products in the drugstore I have slightly higher expectations (I am not expecting Chanel standard when it comes to lipstick but it means I expect more than something that costs £1). 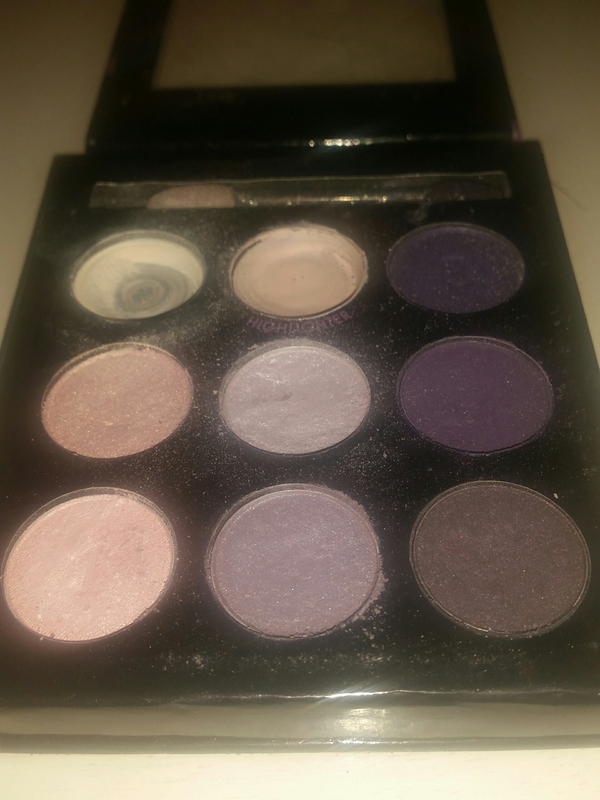 I absolutely love using this palette, even if it is mildly inpractical to use on a daily basis. The main reason it is difficult to work into a daily makeup look is that most of these shadows have noticable shimmer in them. 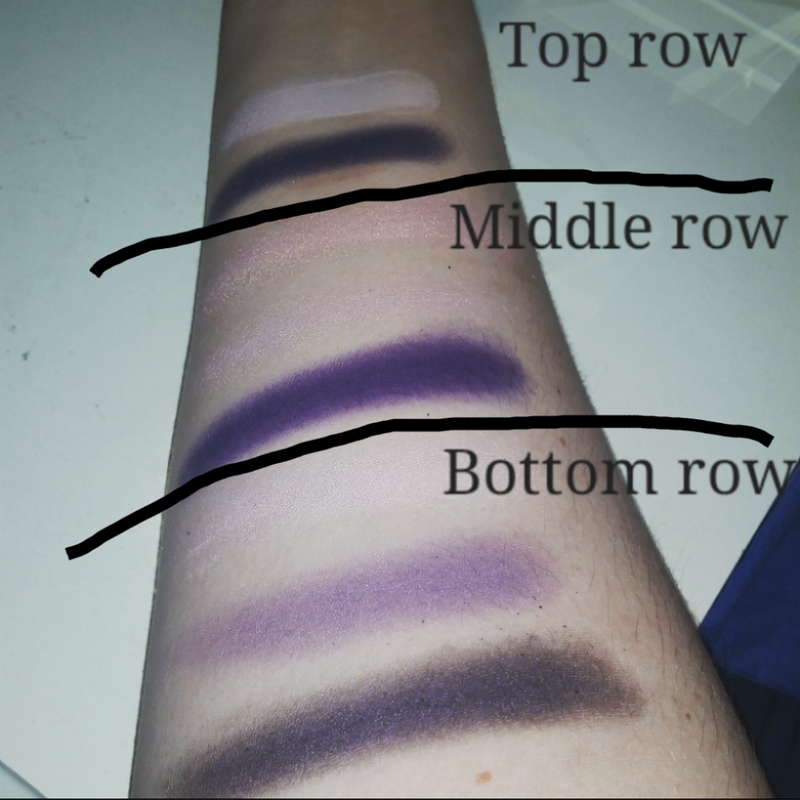 A user is supposed to be able to take a shade from the first column, then the second and finally the third to create a smokey eye effect but when so many of them have shimmer in them it just is not going to work without looking like a dark glittery overpowering mess. The only not glittery shade is in the top row and is a plain white. For these shadows I find that I have to put the white shadow down first after putting a primer down as these shadows create quite a lot of fallout if not being added to powder and with the amount of glitter.. 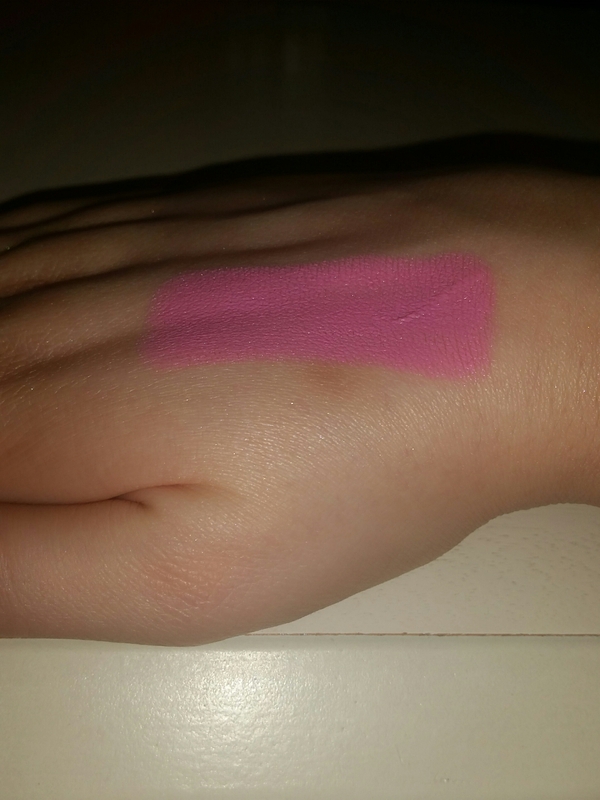 The top row also has a highlighting cream to use at the end but it is a very noticable pink that leans towards white and just looks very fake and out of place as it is super difficult to apply. Also I really wish companies would stop putting a cream in amongst powder products, especially shimmery ones, because the cream just ends up an unappealing mess. Both of the other rows have shades that are really difficult to get to come up on the eyelids even if you attempt to build them up. Whilst they are not very buildable they are not the ones that create the most fallout, so I have no idea where the product goes to, instead the darkest shades get the fallout prize. And having purple, especially dark purple, fallout under your eyes and onto your cheeks is not good for anybody as it will either give you dark undereye circles or leave you looking like you got punched in the face. This is a product you HAVE to apply before putting anything on your face or everything will be ruined and you will end up cursing at this palette so much. Also don’t wear white if using this palette as it will find a way to get onto it. Do not say nobody warned you. Collection have made an attempt to make blush quick and simple for everybody by putting it into a roll on stick. But when things come in sticks it can either go well or very wrong. A very small amount of this product goes a long way but because of the way the way it is in a stick you have to apply slightly more to your face than might be appropriate. But the colour of the blush is easy to sheer out and blend in if you do go a bit heavy handed on application. There is only so much you can get away with though as this blush is quite a sheer one and reflects a lot of light so if you go too heavy you will quickly look oily and a bit of a mess. You really need to make sure you set this product afterwards as it does not really dry down at any point. As a result if you lean on your face or catch your cheek without setting it there is a chance it will go on your hand and be smeared in the wrong places. I would not wear this if I needed my makeup to last a long period of time or I wasn’t able to touch up at some point as this will become a little patchy and then fade away. It is not a bad product at all but there are better blush products in cream and powder in the drugstore. However it might be really good to give to somebody that is new to makeup and needs a little blush related guidance (just get them a brush to smooth it all out too!). Everybody wants a good lipstick that comes in a shade that suits them and has a texture that feels super comfortable on the lips and we all seek that but for a reasonable price. But when it comes to finding that we are often sceptical of the cheapest on the market and hope to find a dupe to a more expensive product somewhere in the drugstore. However let me tell you that this formula of lipstick is not going to be something anybody wants no matter how perfect the colour may be for you. If you know about dry and unpleasing products to apply to the lips that seem to drag your lips with the lipstick as you are going then you will know my pain when I tell you that this seems to be one of those products. It really bewilders me that brands are unable to put some form of moisture into their lip products and consider how people actually need to wear them for long periods of the day. Even with it being so dry it still needs to be reapplied several times during the day but the more you do that the worse it ends up looking as your lips become so dry and start to feel heavy from the unforgiving formula too. Just having one of these means I am aware that some other shades may have a different formula, feel different or may last differently but this one has certainly provided me with some clear opinions. This product claims to have a velvet feel and appear matte however I would not say it dries down to an even semi-matte finish on the lips. It does feel fairly comfortable to wear though which is a bonus. I tend to use this shade to create a more ombre lip look without adding too much product to my lips to weigh them down or dry them out. On its own it reminds me a little too much of a foundation or concealer shade as it covers my natural lip colour too well for it to work in combination with my natural tones. 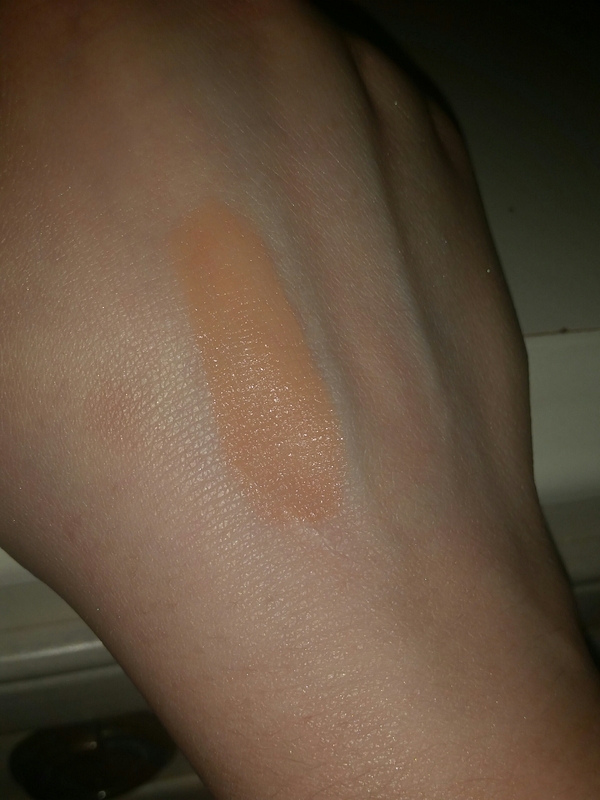 It is a good formula and comfortable to wear and there other shades out there that are more wearable, or at least suitable for me, but the claims to the finish are a bit inaccurate. In reality I probably would not recommend this line of Collection products to another person but that is just because there are so many other ones out there that are a similar price and actually provide a comfortable feel and appear matte. 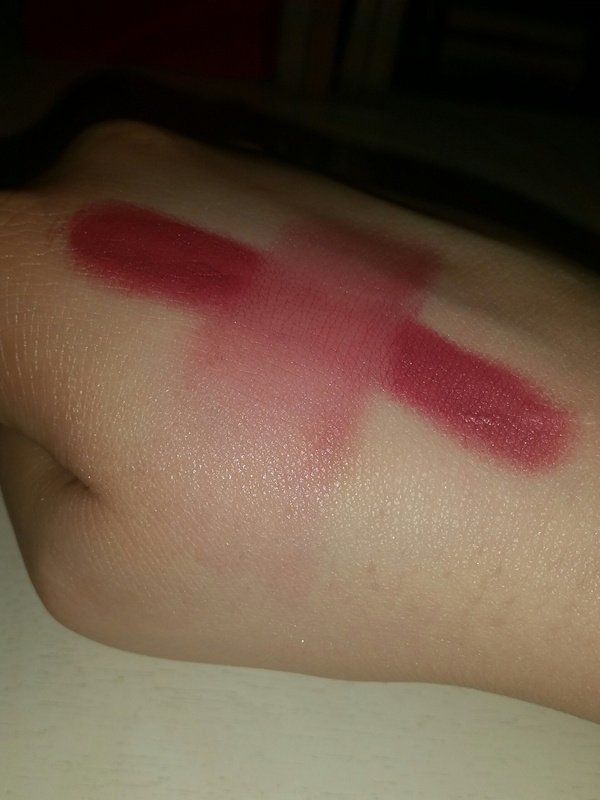 This entry was posted in Beauty, Make Up and tagged affordable, bblogger, bbloggers, Beauty, beauty blogger, beauty bloggers, beauty brand, beauty product, beauty review, blush, brand, cheap, cheap makeup, collection, collection cosmetics, cream makeup, drugstore, eyebrow product, eyebrows, eyeliner, eyeshadow, lblogger, lbloggers, Lifestyle, lifestyle blogger, lifestyle bloggers, Make-up, makeup blogger, makeup brand, mua, product review, review, uk drugstore, uk makeup. Bookmark the permalink.